We see and frame many images of parts of Wales. From one regular contributor however we have these very attactive, bold works in the language of the country. 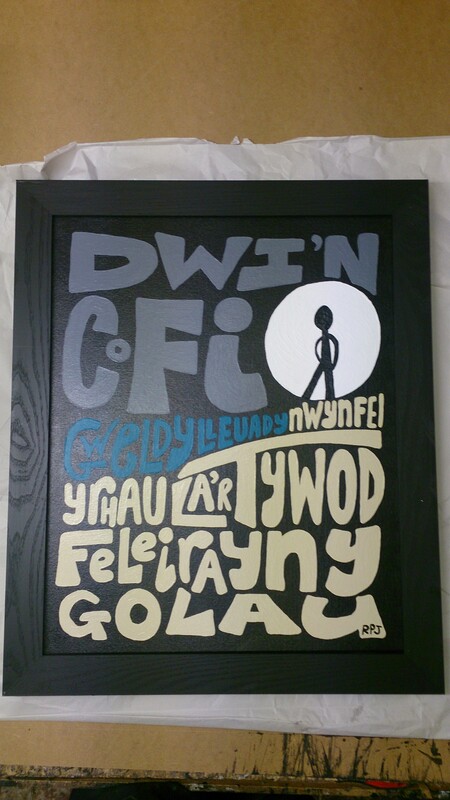 This entry was posted in ART, Picture Framing and tagged Welsh language. Bookmark the permalink.